Funeral services for Rebecca (Becky) Richmond Lancaster of Tallulah, Louisiana, will be held at St. Edward Catholic Church in Tallulah on Wednesday, January 30, 2019, at 11:00 A.M., with Fr. Ryan Humphries officiating. Visitation will be at Crothers-Glenwood Funeral Home in Tallulah on Tuesday from 4:30-6:30 P.M., followed by a wake service and recitation of the Rosary. Burial will follow the Mass of Christian Burial at Silver Cross Cemetery under the direction of Crothers-Glenwood Funeral Home. Mrs. Lancaster was born in Helena, Arkansas on February 11, 1948, and moved to Plaquemine, Louisiana at an early age. She graduated from Plaquemine High School and earned her undergraduate degree at L.S.U.-Baton Rouge in Elementary Education. She obtained her Masters Degree and Masters plus 30 hours at N.L.U., now U.L.M. She died on January 27, 2019 at Promise Hospital in Vicksburg, Ms., after a lengthy and courageous battle with cancer. She is survived by her husband of 47 years, Michael E. Lancaster; her sons William (Will) M. Lancaster and his wife Jennifer of Ruston, and Kristopher (Kris) H. Lancaster and his wife Kristi of Maurice; her grandchildren Madison, Emery, Payton and Max; sister-in-law Patsy Lancaster and her husband Billy Clapp; her brother-in-law Hunter Lancaster, his wife Terri and nephew Ethan; her many friends of all ages, and her former neighbors on Robertson St. in Plaquemine, who she considered to be her extended family. She was predeceased by her parents, Charles Jack Richmond and Florence Fuller Richmond. Becky was a member of Phi Mu Sorority while at L.S.U. 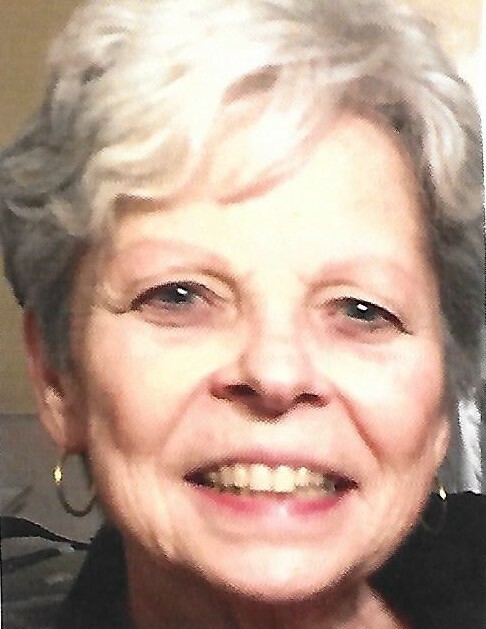 After moving to Tallulah in 1973, she became active in LAE and NEA, Delta Kappa Gamma, Town and Country Club, Tallulah Beautification Commission and St. Edward Catholic Church. She taught Kindergarten and Reading in the public schools of Iberville and Madison parishes for forty years. She was instrumental in establishing the Godfrey-Reed Garden and Outdoor Classroom; she was the recipient of Region 8 Elementary Teacher of the Year Award in 1991, and she held a special place in her heart for each of the students she taught during her many years of teaching. Becky was known for her kind and gentle spirit and for her many acts of kindness and generosity toward her family, friends and strangers. Pallbearers will be Cliff Watts, Jason Laird, Wade Himel, Shane Johnson, Jason Placke and Ethan Lancaster. Honorary pallbearers are Jackie Eakes, Dale Magoun, Dr. Thomas A. Neumann, Pat Gilfoil and Dr. L. P. Neumann, Jr. The family extends a special thanks to her doctors and support personnel at the numerous medical facilities where she has been treated for the last several years, and especially to her private caregivers Donna Hitt, Loveta Thornton and Ruby Franklin, who enabled her to enjoy her family and friends at home during the past several months. The family requests that any planned memorials be made to St. Edward Catholic Church, P.O. Box 1308, Tallulah, La. 71284-1308 or to a charity of your choice.